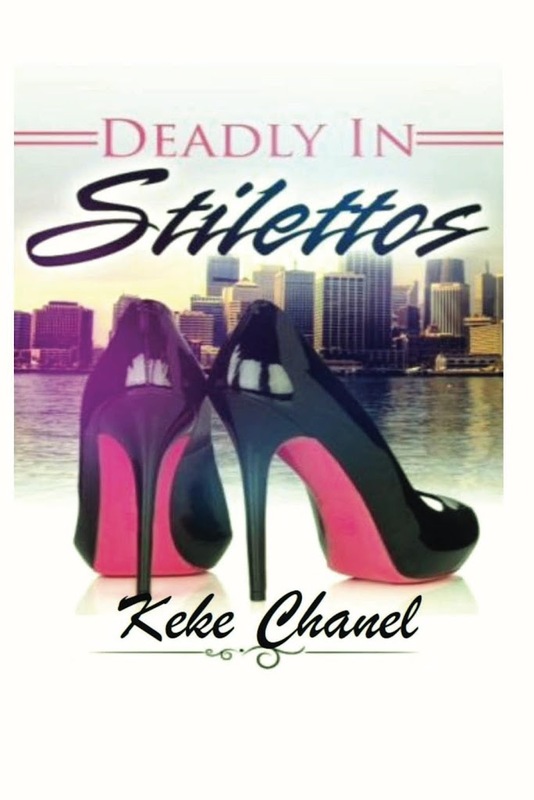 Author Spotlight: Meet KeKe Chanel!!!! I have to say, as you’ve heard me say all the time… the best part about writing is meeting so many wonderful people. Today, I’m with KeKe Chanel. 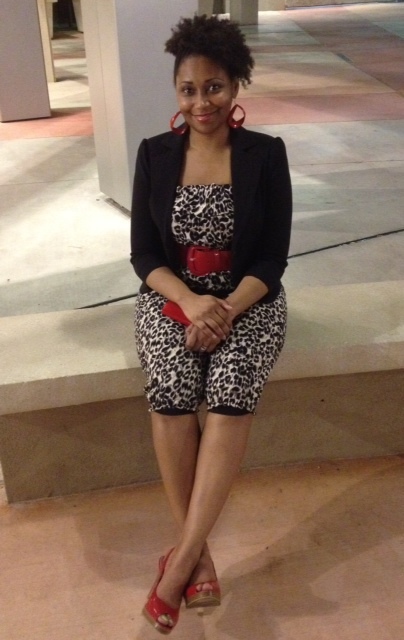 I met KeKe in the Reading in Black group and I have to say… she’s awesome! KeKe, can you tell us a little bit about yourself? First I would just like to say thank you for having me on your blog Leslie. It’s always good to have support from our peers. I am truly humbled and grateful. I am also proud to be in the likes of such great company as you. I absolutely loved Basement Level 5: Never Scared. Being an AA Author is awesome but having the support of other AA Authors is amazing! I am Keke Chanel. I am from a small town in Louisiana called Greensburg. *Shout out to G-town* LOL. I am a wife and mother of two. I love spending time with my family and close friends when I’m not writing or reading a great book. I love the colors purple and green. Aw… thanks so much. I’m so glad you loved BL5. I definitely agree with you having the support of other AA authors. It’s been such a blessing getting to know amazing authors like you! Is there any particular author or book that influenced you in any way either growing up or as an adult? When I was in the eighth grade I read Terry McMillian’s Mama and that book touched me in a way that I wanted my stories to reflect everyday situations that we all face at some point in time. Although I write fiction, there are still true elements mixed in to make the story relatable. There are others like Zora Neale Hurston’s Their Eyes Where Watching God & The Coldest Winter Ever by Sister Souljah that stand out but I am a lover of books, so I try to take something positive away from each one that I read. I could talk about books all day, and since I have been on Facebook and joined the Reading in Black group, I have found many authors whom I admire and enjoy reading. Abosolutely LOVED Mama for those same reasons. One of my favs. What are you reading? When I’m not hanging out with my family, I am usually buried in a book or playing games on my IPad. I feel like we’re kindred. Lol When did you first start writing and when did you finish your first book? I first started writing in third grade. Poetry became my first love until I got to high school. I started writing short-stories about my friends and family, and eventually the great feedback I received from anyone who read them inspired me to pursue something bigger. It wasn’t until later, much later that I started writing novels. I have so many short-stories and novels on my computer, which I do plan to release someday in the future. My debut novel Deadly in Stilettos was published in 2012. I have it on my Kindle and can’t wait to read it. Where do you get your ideas? My imagination is a very sick and twisted, yet wonderful creation. I just let whatever flows at the time I sit in front of my computer flow, and if there are sparks of reality infused, I don’t fight it. My aunt tells me I need therapy but she calls me every week asking if I have anything for her to read. It’s funny. My major in college was Psychology. Are you a pantser? Or do you outline? I think I’m a little bit of both. Sometimes I just sit down and go from there and others I get an idea and outline the story around it just so I don’t lose sight of it. I love developing new characters and I usually outline their physical features and back story before I move forward in the plot. But with each story it’s different. You just never know because I have outlined an entire story but didn’t use anything from my notes when I started typing. That story will be released sometime in 2014. Awesome! Looking forward to it! Can you tell us the challenges in getting your first book published? Besides money, lol! No, the challenge I had was finding the right company because I did self-publishing. Even though I did research, I wish that I would have done more, asked more questions, or knew some of the people then that I know now. I learned that you cannot always take someone’s word when it comes to your work and don’t leave your work’s integrity in the hands of someone else. I learned that even if it takes another month or year to get your work published, always read and reread again! My latest novel Naughty or Nice is the sequel to my book Sugah & Spice. It’s about hidden identity, love, lies and betrayal, stemming around the main character Sugah Payne and an organization she has become entangled with. Just when she thinks she has finally found love, her past comes back to haunt her, leaving everyone around her in danger; but the people she is trying to protect have secrets of their own. I really enjoyed working on this project but the story doesn’t end there, it is just warming up. There is another installment coming! My novel Deadly in Stilettos is about a young woman named Deminis Bradshaw who is searching for love in all the wrong places because she didn’t have the love from her father growing up. She is tired of being abused and misused so she compiles a list of names with all the people who have ever hurt her and goes on a little adventure. Let me just say that if Demi is there for a visit, you are not safe. Her love for beautiful shoes gives her the boost of confidence she needs to seek redemption so that she can start over and finally have the life she has always wanted and desired. I had lots of fun working on that project. I learned just how creative I could be as a writer because Demi isn’t the typical gun or knife carrying chick. How did you come up with those awesome titles? For Deadly in Stilettos I wanted something different, something I had never heard and because of my main character having a shoe fetish, if you will, the name just kind of came to me one night in my sleep. She is deadly, and she loves stilettos, put the two together and there you have it. Sugah and Spice; Naughty or Nice, came from the nursery rhyme ‘what are little girls made of’ with a twist. Love it. Who designed the covers? The first cover to Deadly in Stilettos was designed by the publishing company I went with and the second cover, because I re-released it to fix what was overlooked, was designed by Keith Williams, a friend of mine who has his own design business. And for the Sugah series, I did. The hardest part for me is always the blurb or synopsis. It’s hard condensing two to three-hundred pages down to a paragraph, yet, not give too much away or not enough, to grab the attention of readers. If you had it to do all over again, would you change anything about your latest book? No, I wouldn’t. Not for my latest book but for my debut book, I would definitely change the publishing company of choice. Other than that, this has been a great experience for me. I know that it will only get better. God is in control of my destiny! That is SO true. What project are you working on now? I’m truly excited about the project I’m currently working on. It will be my first novel writing where my main character is a male. Writing from a male perspective is challenging but awesome at the same time. It is called Diary of a Misunderstood Brotha. It is inspired by true events and I know that it will touch all who reads it. Ace, the main character, is a wonderful guy who is just searching for something he doesn’t think he deserves because of all the pain he has endured. His love for poetry keeps him optimistic that life is worth living even when he feels like ending it all. I have a new book coming out this November called Suffer No More. It is based on the life of my younger sister. She asked me to share her story, all of the ups and downs, heartaches and pain, obstacles and triumphs, and I cannot wait for readers to read it. She is truly a woman of strength and courage and I admire her so much. To be so young and have experienced all the curveballs of life and come out of it encouraging others with a smile not only on her face but in her heart is a wonderful thing. Wow. That is great!!!! Do you have any advice to give to aspiring writers? This has been a great experience for me. As a new author getting your name and work out in the world of readers is an enormous task, and I just want to say thanks again for allowing me to use your platform. I wish you great success and multiple blessings, Leslie! Thank YOU for coming by. I wish the same for you.